A ductless air conditioner & heater system installed by AirPlus is perfect for older & historic homes that have rooms not properly warmed or cooled with the existing ductwork of a traditional heating system. A new ductless system can be installed easily without tearing out walls and ceilings to install new ducts. Add to this the fact that ductless systems can be turned off in areas, zones, or rooms, not in use, and ductless systems make a far more efficient choice than traditional heating and air conditioning systems. Plus, adding zones to areas not currently reached by a traditional system is a snap. Let AirPlus review your home's heating & air conditioning needs and recommend how a ductless system can help improve your personal comfort in your older home. Ductless systems are great for home offices, additions, attics, basements and hot or cold areas where traditional HVAC systems have trouble reaching. Do you have a room that is always too warm or cold? Mitsubishi Electric's ductless heating & cooling solutions from AirPlus are easy to install and will keep your family comfortable year round! Ductless Systems from AirPlus offer comfort control any zone in your home. An AirPlus ductless air conditioner system can keep your personal space as warm or cool as you like it! Is a mini-split system right for me? Many people in Northern Virginia have the luxury of being able to work from home but may not have a home office. Reclaimed rooms over the garage, attic or basement space or home additions are perfect for home offices and ductless systems offer comfort control providing the perfect temperature efficiently. AirPlus can help install the perfect ductless system providing home office comfort at your fingertips all year long. Here is a link for more info to help you decide if a mini-split system is right right for you? Why Mitsubishi Electric Ductless Systems? AirPlus is Northern Virginia's expert on installing, maintaining & servicing ductless heating & cooling systems. Our single zone ductless ac systems are perfect for older homes like in historic Old Town Alexandria or for homes with room additions, sunrooms, home offices or areas that current systems have a hard time reaching. Multi-room ductless systems also allow you to experience the personalized comfort for each room or space in your home. We install a lot of systems with these conditions in Alexandria, Burke, Fairfax & Springfield. Homes with traditional systems have cooling and heating zones that are often quite large. Some zones can cover entire floors. These systems often have hot and cold spots caused by the lack of airflow required for efficient cooling and heating. AirPlus's line of single or multi-zone, ductless heat pump systems offer individual comfort control to a more personal defined space. Each system includes one indoor air handling unit connected by refrigerant lines to a compact outdoor condensing unit. Our AirPlus ductless air conditioner systems are perfectly suited for older homes with no space for ductwork, or newer homes with rooms that are always too hot or too cold. Great applications include room additions, enclosed patios, bonus rooms, workshops, and bedrooms. We offer a wide selection of energy efficient and whisper quiet systems with attractive and discreet ductless and ducted indoor unit options. Styles include wall mounted, ceiling recessed, and ducted options. Also known as a split air conditioner system. Dustless systems are small, efficient and easy to install in spaces that are difficult to accommodate traditional HVAC systems and large ducts & ductwork. Ductless split systems are the modern solution for your personal comfort throughout your home! Ductless systems aren't only for air conditioning, they also provide heat giving you benefits year-round. With allergen filtration and convenient wired or wireless controllers, our ductless ac solutions deliver the right amount of efficient comfort when and where you need it. 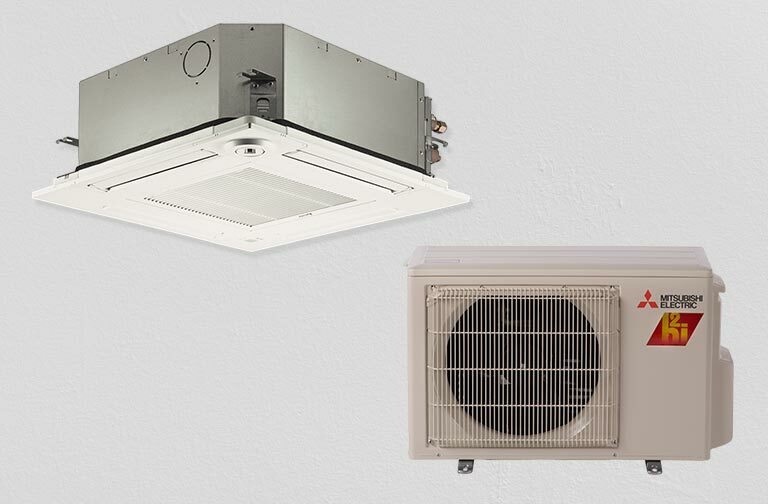 Contact AirPlus today regarding our ductless ac, ductless heat pump & ductless air conditioner options. It's the future of home comfort and HVAC technology! Ductless Systems are great upgrades for older and historic homes. Ductless Systems save energy. Go green, Northern Virginia, with a new ductless system today. AirPlus ductless systems are high-efficiency. They will save you money because of recent technology improvements allowing them to do more with less energy and homeowners can shutoff zones, not in use for additional energy savings. AirPlus, Northern VA's Mitsubishi Electric Diamond Contractor, is a family-owned home heating & cooling expert specializing Mitsubishi ductless heat pump systems as well as other brands. 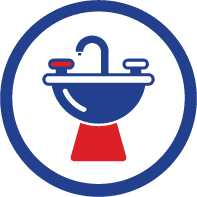 AirPlus installs, maintains & services many brands of traditional HVAC systems too! Planning a home remodel or home addition? Go Ductless! If you are planning to remodel your home can you rely on your existing system to keep up with additional rooms and square footage? Install a ductless system by Mitsubishi Electric and enjoy all of the benefits of zoned heating & cooling. When you plan to add a home office a ductless, mini-split air conditioning system is perfect. They can be installed quickly and easily because there's no ductwork. And why pay to heat a home office after you've called it a day. With zoned heating and cooling provided by a ductless system, you'll save energy and that's good for your wallet and for the environment too! Reclaim existing space in your home by finishing your attic or basement. You could add tons of awesome new living space that's unique and useful. How about that "man-cave" in the basement or a hobby room in the attic? The AirPlus ductless systems by Mitsubishi Electric can make sure you're comfortable anywhere in your home. Let AirPlus expertly install an efficient, ductless mini-split heating and cooling system or air conditioner and enjoy year-round personal comfort! Ductless HVAC systems are perfect for older and historic homes like these in Old Town Alexandria. AirPlus is an expert in designing HVAC systems throughout Northern VA.
Mitsubishi Electric Ductless Heating & Cooling Systems - AirPlus offers 5% discount to cash customers & financing with approved credit. © 2019 AirPlus Heating & Cooling. All Rights Reserved. Site by Full Page Media Inc.